Dani uses interactive methods to understand people’s experiences with drinking water, toilets, menstrual health and hygiene, and rubbish management. Her participatory research and teaching focuses on ensuring that everyone has access to the products and facilities that they want to use, regardless of their income or the country they call home. She believes that there is more to well-being than economic development, and that although technology plays a crucial role, it alone cannot solve all of our water, sanitation and hygiene challenges. Dani is a Lecturer at University of Leeds, where she is Deputy Lead for the Water, Public Health and Environmental Engineering Research Group, and co-leads the Master of Science in Water, Sanitation and Health Engineering. She is Editor in Chief of the Journal of Humanitarian Engineering and an Editorial Board Member for Waterlines. Dani has worked as a practitioner and researcher in several countries, most notably in the South Pacific and South Asia. 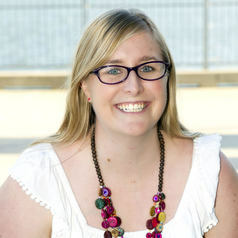 In her undergraduate days, Dani was one of the founding members of the University of Western Australia Pantomime Society, where she honed her skill of engaging with large audiences on taboo matters, particularly through making a fool of herself on stage. The University of Western Australia, Ph.D.